Welcome to 10329 Sunridge Sun Lakes AZ | Oakwood Home For Sale – this beautiful home is shows pride of ownership. This lovely Trova model has an extended length garage for golf cart storage. Upgrades include an updated kitchen with granite counters, travertine backsplash, paneled maple cabinets with sliders and a breakfast bar. The range, microwave and dishwasher were new in 2013. You will love the professionally painted decorative designer walls in the kitchen and bathrooms. The family room has an electric fireplace & large picture windows that add beautiful natural sunlight. A separate office/den features solid wood flooring and privacy from the family room. Unique stamped concrete floor in master bedroom and walk in closet with custom cabinetry and granite in master bath are also upgraded features. An extended covered patio with fans, mature fruit trees and built in BBQ make a perfect entertaining space. Newer solar panels were installed with a low cost maintenance lease. North/South exposure for maximum lighting is a popular feature for winter residents. This is a beautiful home but don’t take our word for it. When you buy a home in Sun Lakes Arizona you are buying into a lifestyle. What that means is resort style amenities to include 27 holes of golf, 14 tennis courts, pickle ball, restaurants, lakes, walking paths, fitness center, swimming pools and many clubs and organizations. Some of our clients love the hiking club where they can gather with other friends and neighbors once or twice a week and explore hiking trails throughout Maricopa and Pinal counties. Other clients love card clubs and find bridge, bunco and mahjong group to be fun and rewarding. There is truly something for everyone in Sun Lakes Arizona. Sun Lakes is located in the southeast valley of the Phoenix area just 20 minutes from both Sky Harbor International and Mesa Gateway Regional Airports. Sun Lakes is all about location location location. 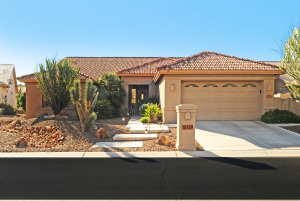 Close to all major freeways is one of the reasons many people consider Sun Lakes AZ a top choice for active adult living. You will find the 101, the 202 and I-10 just minutes from Sun Lakes main intersection at Riggs Road and Alma School. 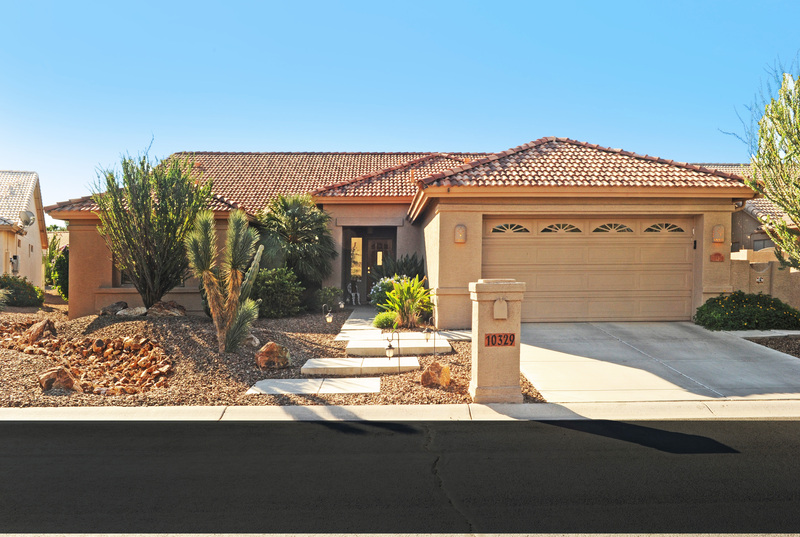 For more information on 10329 Sunridge in Sun Lakes AZ or any home in Sun Lakes call the Kolb Team at 480-440-0849.